^ Oliver Huntemann : a monster movie’s Mike Mareen ? 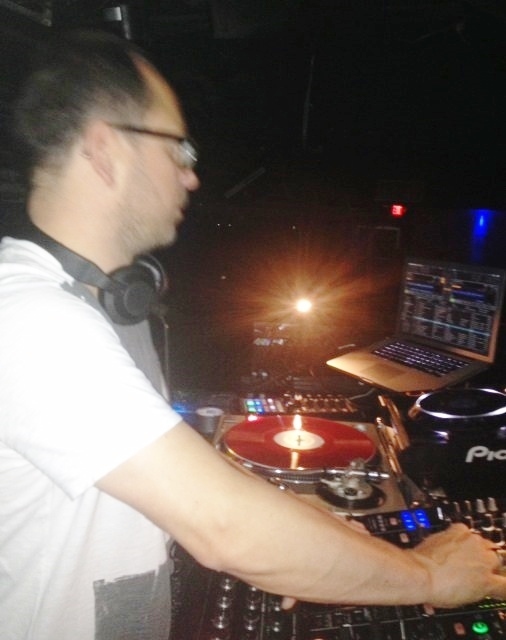 From Hamburg, Germany came DJ Oliver Huntemann on Thursday night to Machine for what, to the best of my knowledge, was his first Boston performance. His two hour set was much heralded by local connoisseurs, but few actually showed up. Even at peak hour no more than 100 fans graced the dance floor, and by 1.30 AM hardly any were still on point. Given that local maestro Jeff LeClair played a short but strong opening set, it isn’t unlikely that he is whom they came to dance with. DJ Melee also played a useful set of grungy grumble house music. Huntemann gave it his best shot : his own tracks, segued and blended, dark and foreboding and, occasionally, coolly Moroder-istic. His sound was a sound effect : streaks and cello-like strums atop stroll and stride beats and moan-ful rumbles. His textures felt thick, his tempo turgid, his tones a mix of growl and groan. The mood was horror movie; the backdrop, monstrous; the totality, almost Goth — of the overblown, German variety in which fake Shakespearean elocution serves a grotesquely comic rubber-face. It’s been done before, though doubtless few of Hunhtemann’s Boston fans recognized it; German hi-energy disco of the mid-1980s had the same Goth moodiness — think Mike Mareen’s 1985 “Dancing in the Dark” — serving up the disco room as a spaceship moving through a midnight void. Then, it was fun, even giddy, and tempoed faster. Huntemann’s version sounded damaged, dull, defeated. 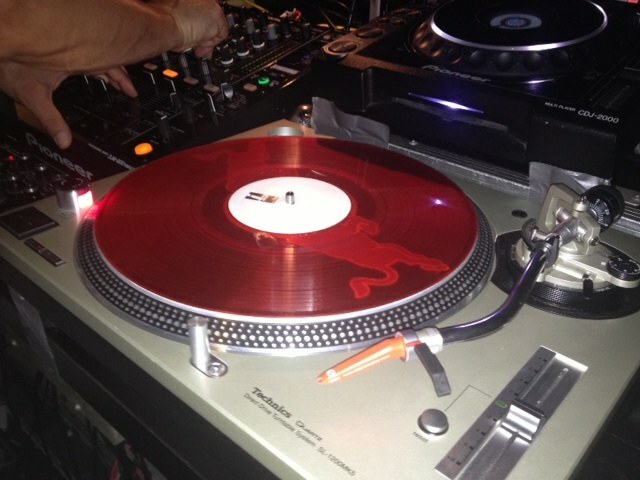 He used two red Traktor vinyl 12s and pc program and edited his sound sparingly. Many of his own tracks displayed their wares and lived up to their imagistic titles : the Goth-y “Melbourne”; a most Mike Mareen-ish “Decks and the City” ; the airs of “Aire” ; a bit of traipse and Polynesia beat in “Tasmanian Tiger” ; and the self-explanatory Cocoon’ and “Dark Passenger.” Given the ominous tone of his set, Huntemann’s “Hope,” in which the great Robert Owens voices soulfully, was not on the dance card. That was too bad. In that track Huntemann compromises his black vision just enough to win house music fans to his side. At machine there was not winning but defeat. On and on went the monster mash, the ghostly groans, the B-movie brooding, the painful beat. Off and off went the dancers. Huntemann made no changes to his program;. He played what he plays, what he makes. imaginative it was; masterfully sculpted, brutally painted, a sound quite unusual in today’s track making and certainly more thematic than the sketchy rips of electro skrilling. Huntemann’s almost murderous moods may even portend, as experimental music often does — (Though for those who have heard the German “industrial” music, of 30 years ago, that stands behind what he does, his music may sound as much a reclamation as portentous) — but of such portents Boston dance music fans were having little and none. It would be shrewder, henceforth, to book Huntemann at a festival of experimental new music than at a mainstream dance club. Previous PostBOSTON MAYOR FINAL : MARTY WALSH ON THE HOOKNext Post“SECESH” FOR THE 21ST CENTURY ?